When I was growing up, there was a lady who taught a yoga class on what is now our local PBS station (back then it was Channel 11). She wore a long-sleeved leotard and tights every day. My mom and I tried to follow along, and we did pretty well, except for the really hard arm balances. 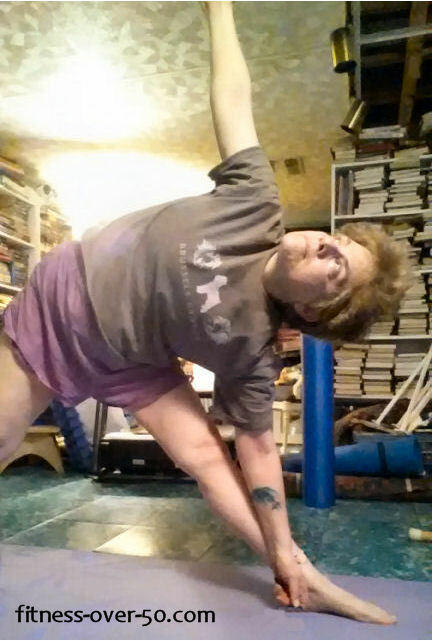 Lilias spent 27 years on PBS and is still practicing and teaching yoga online. And she’s the norm for yogis. People who regularly practice yoga just seem to not age. They seem healthier and happier than the population as a whole. Why is that? For starters, yoga is great exercise. The physical benefits include increased strength, endurance, flexibility and balance. And some flow classes can really get your heart rate up too! And now studies have shown that yoga provides mental benefits as well. Real Simple’s “Getting Fit For Life” blog 1/19/16 (http://www.realsimple.com/health/fitness-exercise/stretching-yoga/yoga-brain?xid=soc_socialflow_facebook_realsimple) cites new research published in the Journal of Psychiatric Practice that suggests that yoga can help people manage bipolar disorder. A study from the University of Illinois has shown that even brief (20 minute) sessions of hatha yoga can improve focus and information retention. And yoga helps us live in the present moment, which tends to make us happier. So – let’s keep practicing yoga! Previous Previous post: It’s freezing!! !